These freshly-built offices to lease are in Beavercreek’s exclusive Greene Town Centre, a fantastic new development brimming with luxury and convenience. All offices are within easy reach of dozens of dining and entertainment venues, and offer ample outdoor space. Dayton and the surrounding areas are only minutes’ away. This contemporary collection of executive suites comprises Beavercreek’s most sought-after business location. Fully furnished in a variety of layouts, plush boardrooms and cutting edge technology are just a few of the benefits available. 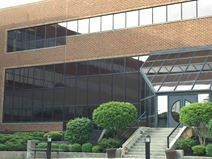 These offices are located just off I-675 and minutes’ from downtown Dayton.